I have been sitting on my hands for several weeks, keeping a fun little secret from you all. For the next several weeks, there will be a new little Mini Series here on Make It and Love It. 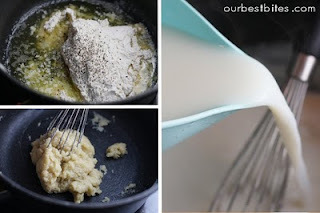 Each week, you will see one new post from a duo food blogging team, Kate and Sara, from………Our Best Bites, found here. You may already know them, and even better, may have already tested out their tried and true delicious recipes and kitchen tips. And if you have, you probably already adore the duo bloggers, Kate and Sara, who have been making their readers drool for almost 3 years now. My favorite thing about their site is that they share recipes you actually want to try……and then take fabulous step-by-step pictures to show you exactly how to re-create it. 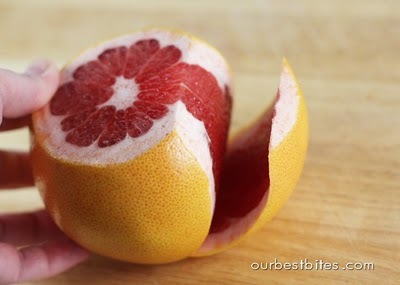 They even share the basics…….like how to segment citrus. Nice and easy and useful little tips are sprinkled all throughout their site. 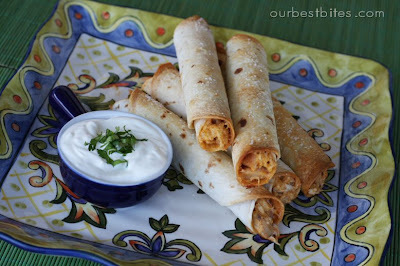 In fact, we are eating their Creamy Chicken Taquitos tonight for dinner. Yum. Anyway, they have both sweetly agreed to hop on over to Make It and Love It for the next several weeks, to post once a week about a topic useful for many of us: Getting Kids into the Kitchen. Even if you don’t have kids yourself, I’m sure you have young nieces/nephews/grandkids/cousins/friends who have come over to your house…….and you know they adore helping out in the kitchen. So Kate and Sara are going to share some tips on how to make that a fun and less hectic experience. 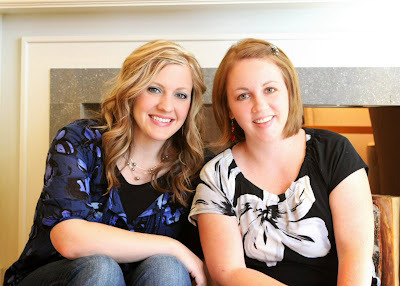 So thanks Sara and Kate……..can’t wait to see what you have stored up to share. I’m sure we’ll all love it! Hi, guys! This is Kate from Our Best Bites. My blogging partner Sara and I are beyond thrilled that Ashley has invited us to do a series about kids in the kitchen over the next few weeks here on Make It and Love it. We’re both kind of in love with her blog, so we’re honored to be here! but first, I want to introduce ourselves to you. I grew up in Logan, Utah and then went away to college after I graduated from high school. While I was in school, I met this weird guy who ended up being hilarious and we kind of got married. Right after I graduated from college, I discovered I was pregnant on a Disney vacation (most magical place on Earth, right?) and was told I was having a 7-pound girl who ended up being a 9 1/2-pound boy we named Clark. A couple of years later, we decided he couldn’t have all the fun, so we gave him a little sister named Meredith. Right now, Clark is 6 and Meredith is 3. My husband, the kids, and I live in a little town in the middle of Louisiana with our crazy cat who thinks she’s a tiger. Sara grew up in the Seattle area and, it turns out, she dated some weird guy’s little brother. Yep, that’s right, if the stars had been aligned differently, Sara might have wound up as my sister-in-law (but it’s okay that she didn’t because I like my sister-in-law Lacey a lot). We both went to the same university and after my husband and I got married, I heard a lot about her, but we had only met in passing a few times when we kind of accidentally became friends on a new mommy message board. We were good friends for a couple of years when we decided that since we kind of already shared a cooking brain, we should take our relationship to the next level and start a cooking blog for our friends and families. In the spring of 2008, we started our little blog and have been sharing our recipes, tips, crafts, and some kitchen disasters ever since. 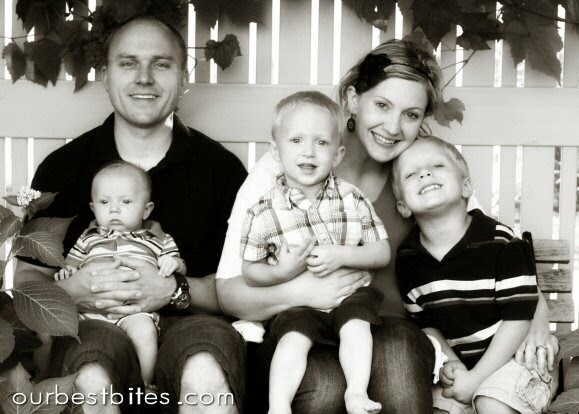 Sara lives in Boise with her husband and her three sons Tyler (5), Owen (2), and Jack (7 months). It might get messy. 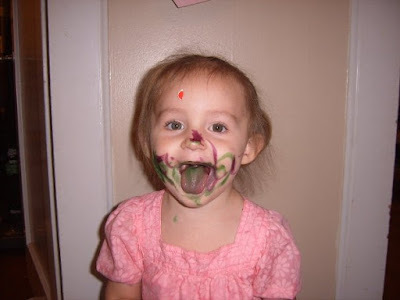 But it won’t be as messy if you give your kids a job instead of letting them discover your pots of gel food coloring on their own. * Counting. They can count berries, marshmallows, chocolate chips, etc. Older kids can use a scale to measure pasta or cheese. * Washing. My kids love to play in the water, so I let them wash the fruits or vegetables we’ll use in preparing the meal. * Making. 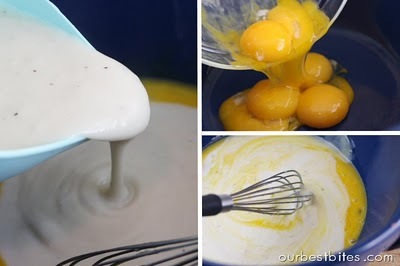 Let them whisk eggs, measure ingredients, or add measured ingredients to the recipe. You can also show them how things cook–I remember my dad scrambling eggs with me every morning when I was little and showing me how to know when to add the eggs, when to scrape the pan, and how to avoid overcooking things. Likewise, I remember my mom showing me that when the bubbles pop on a pancake and leave a hole, it’s time to flip them. * Let Them Be a Part of It. Sometimes, I’ll get sidetracked with the things I have to do that my kids want to be a part of and I don’t include them. And then I’m wracked with motherly guilt. 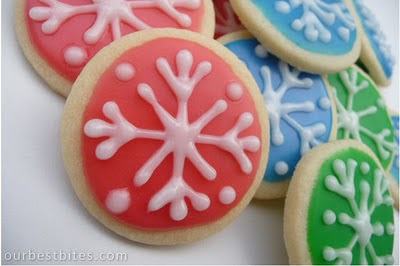 So when, say, I need to make 2 dozen sugar cookies (which happen to be my kids’ favorite treat and favorite kitchen-related activity) for a bake sale or a work party, I’ve started making half a batch extra. That way, I’m not stressed when they want to decorate the cookies I need to be “perfect” and I also get to hang out with them while they decorate their own cookies. *Sometimes You’ve Just Gotta Distract Them. Whether you’re stressed or dinner is dangerous or you’re in a hurry, sometimes you just can’t have them in the kitchen with you and we fully advocate utilizing the powers of How to Train Your Dragon and a bowl of popcorn or apple slices. We’ll be back next Thursday with some great, kid-friendly (and, let’s face it, grown-up-friendly) snacks. 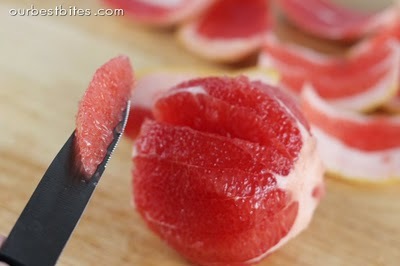 Until then, please feel free to check out our cooking adventures at http://www.ourbestbites.com/! « Sewing Tips: What is Selvage, Bias and Grain? What fun this will be. I'll pass all your information onto my daughter who has a 10 mo. old. What perfect timing! My nephews (10 and 8) and my niece (7) are visiting next week – and I had wanted to make fun meals that they could help prepare! This is great – thanks for the great ideas! You ladies are adorable! Thanks for sharing yourselves with us! What a great series. I've been thinking of ways to let my 22 month old help out in the kitchen. Thanks! What a fun surprise to read one of my favorite blogs and see my sis-in-law, Kate on here! Great idea to cross paths. I loved the post! Oh I am so excited! Meshing two of my favorite blogs HAS to be the best idea ever!! Oh I'm so excited. I've heard about Our Best Bites and a friend of mine always uses their recipes. And I need these child distracting tips… my 18 mo old & 3 mo old are a handful at 5 o'clock. Our Best Bites AND Make It and Love It?!?!? WOWZERS! Oooh! I'm so excited for this mini-series! I know I need to be better at including my 4 year old in the kitchen but hopefully this will give me the push I need! Yes, it is fun being a neighbor to one of the authors of Our Best Bites. When a certain recipe needs an unbiased opinion I often find plates at my door needing to be tasted. Tough job, right? Yea! This is going to be tons of fun. Once a week we have a cooking class for home schooling, plus my kids are responsible for taking turns making dinner. This will be a much welcome series to follow- and utilize! This will be a great series . . . 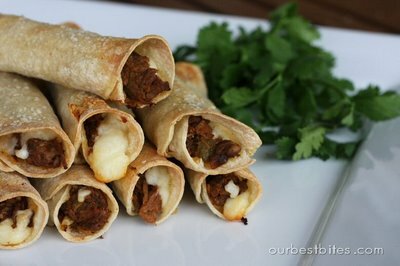 I've been reading Our Best Bites for a while now and there is not one recipe that I haven't LOVED! Amazing..my two favorite blogs are working together.I can't wait! i'm so excited for this series! i can't wait to see all the ideas and smiles! ooo!! this is sooo exciting! what a great mini series!! thanks for sharing all the great ideas!! Always love to hear your insights on making life a bit easy w/ our little ones… I have to admit I am not as prone to let them in the kitchen… as I get home @6pm & have to make 15-20 minute meals to have time for bath & a story mon.-fri… so on those weekends when I can take a breath, these are some GREAT ideas to make up the time w/ them! Thanks ladies! sorry- unrelated comment- but just wanted to thank you for the art smock tutorial! we love it! 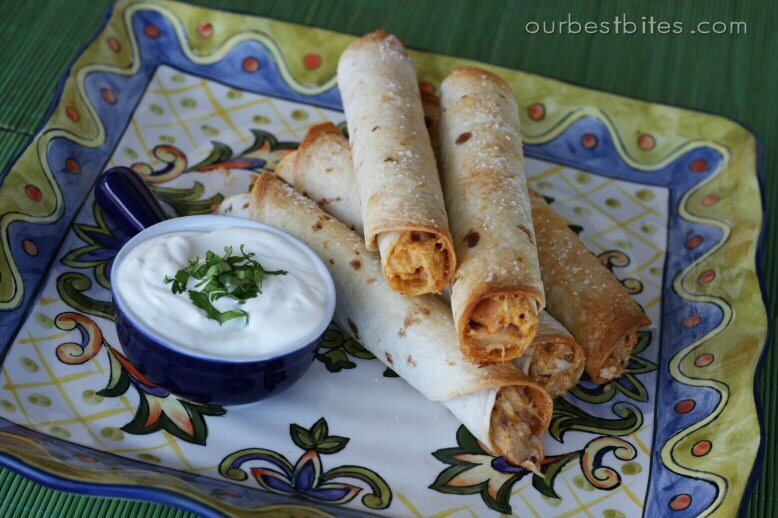 No lie, we had Creamy chicken taquitos from "Our best bites" for dinner tonight also! Small world! Two awesome blogs in one place…who could ask for more?!?!? 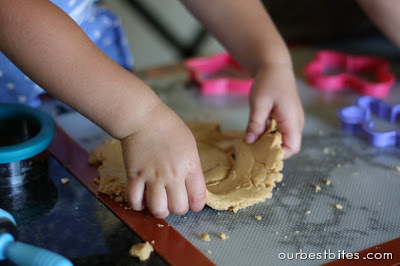 I love the ideas that were given to keep your little ones busy while you are cooking and how to get them involved in the easier recipes. I have a little girl who is turning 3 on the 1st and she is a mini mommy who wants to do everything I do. Thank you for the ideas!!! 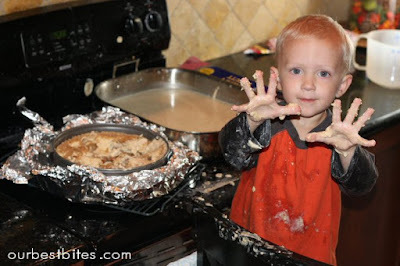 oh, we love love love kids in the kitchen – matter of fact, i can't get mine out! can't wait to check out your recipes- check out some of ours- recently posted Oyster Potato Soup & did a "how to" harvest fresh oysters! I am dying to know what the food is in the picture just below the pancakes to the left? I checked the OurBestBites site and I looked at each recipe in Soups & Stews section of the recipe index but I CAN'T FIND IT!…Help! Kristy – That's their Taco Soup. Looks delicious, right? Letting my kids into the kitchen is so hard. I struggle with the mess, with the loss of control, with the inevitable waste, and with the loss of my safe haven. In spite of that, I’m working on teaching my kids to cook. They’re part-way to mastering all of what it takes to cook taco-tuesday on their own. It’s been awhile since I sewed on the bias. Thanks for the article. It helped.